My friend came round the other evening for a catch up and brought some shop-bought popcorn with her. It was nice but when I read the ingredients list I was quite shocked that it seemed so long. I used to make stove top popcorn quite a bit and remembered how good it was so off I went to the shop to get some corn kernels and experimented with different flavours. 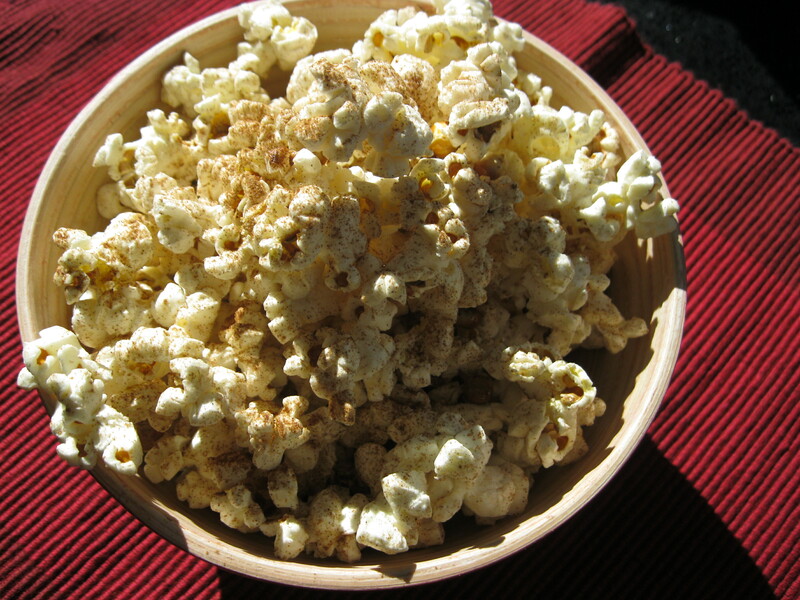 I’m not a huge fan of sweet popcorn although when I do get sweet cravings I find a wee bit of ground cinnamon sprinkled over warm popcorn satisfies the craving. There are so many possible toppings from just a sprinkling of salt to paprika to garam masala or melted dark chocolate to honey or a bit of grated cheese. Just experiment with different flavourings and see what works for you – that’s the fun of it! If you don’t mind getting in a bit of a mess, whilst the popcorn is still warm stir through a tablespoon of nut butter…delicious! It helps if you have a saucepan with a glass lid so you can see what the kernels are doing, however, if you only have a metal lid, once the ‘popping’ stops I’d still wait a few moments before removing the lid. I have on a few occasions taken the lid of a wee bit early and had a shower of popcorn over the kitchen! Place a medium sized saucepan over a medium heat and add the oil and one kernel – I only put in one kernel as when that pops I know the oil is hot enough. Once the single kernel has popped, add the corn kernels, place lid on saucepan and whilst keeping the pan over the heat move the pan back and forth to keep the kernels moving and prevent burning. 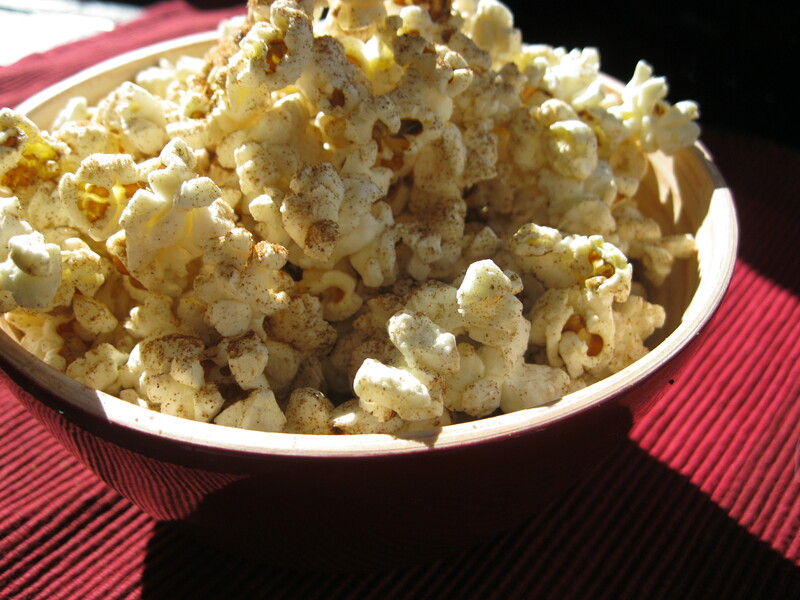 Once the kernels are popping continuously, turn off the heat and keep moving the pan back and forth. Once the popping slows to 2-3 second intervals, set the pan aside and wait for a few moments until no more popping. Sprinkle over your toppings of choice. This popcorn keeps well in an airtight container.